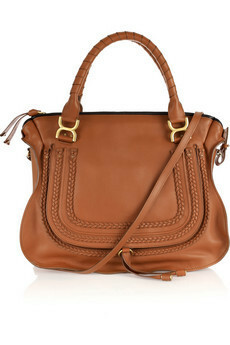 Style setter Lauren Conrad loves her Chloe Marcie Leather Tote and it is easy to see why. Its classic shape and sophisticated look will instantly take your day-to-day looks to serious fashion territory. Maximize its appeal by teaming it with a lace dress and brown chunky platform heels for a stylish lunch date.